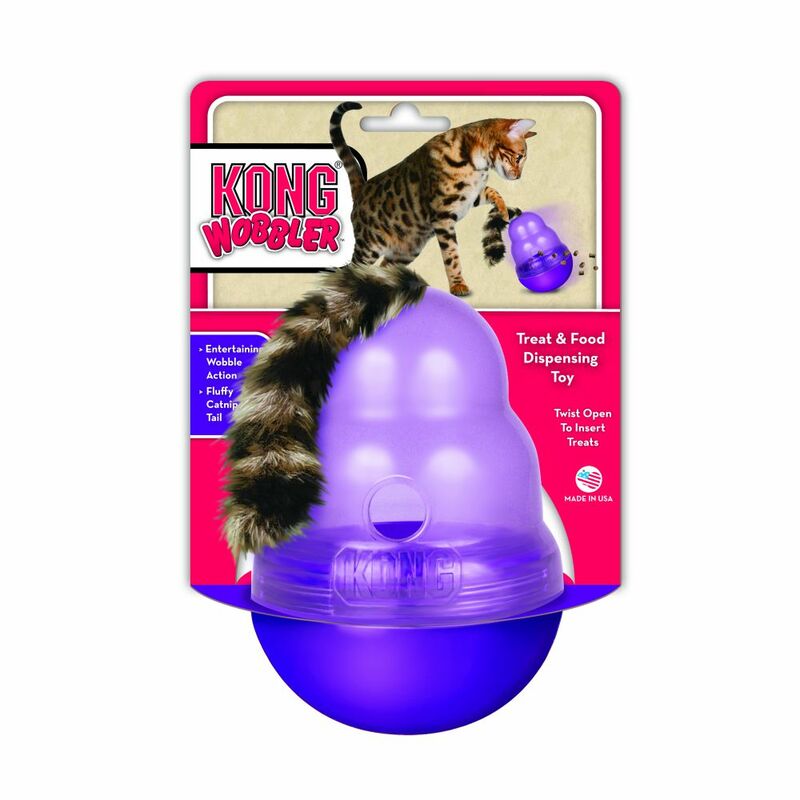 The KONG Cat Wobbler™ provides beneficial mental and physical stimulation for the household cat. 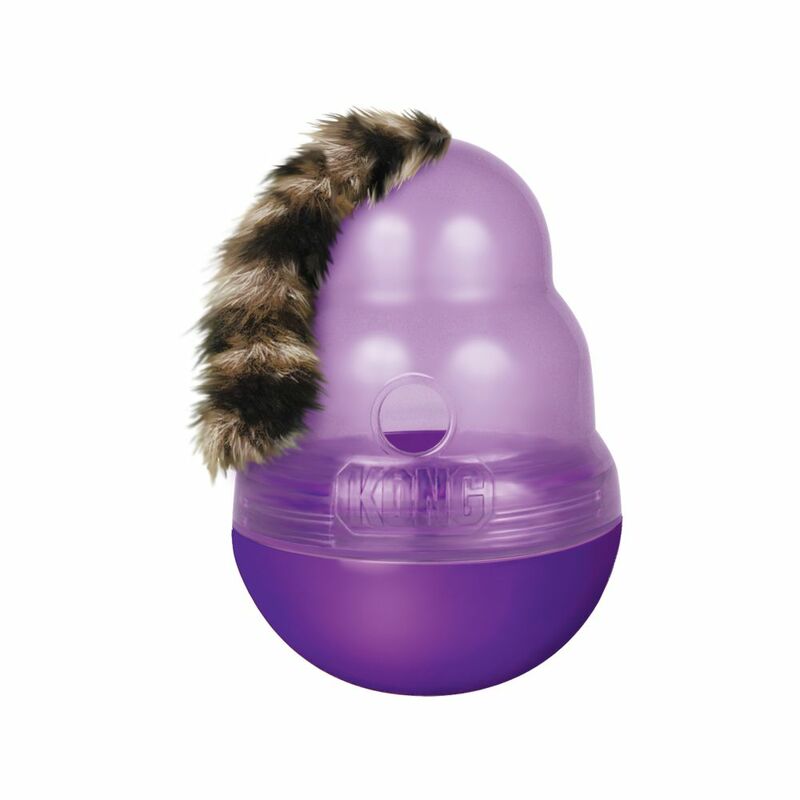 With its entertaining wobbler action, the KONG Cat Wobbler™ makes playtime fun and rewarding by dispensing small treats. 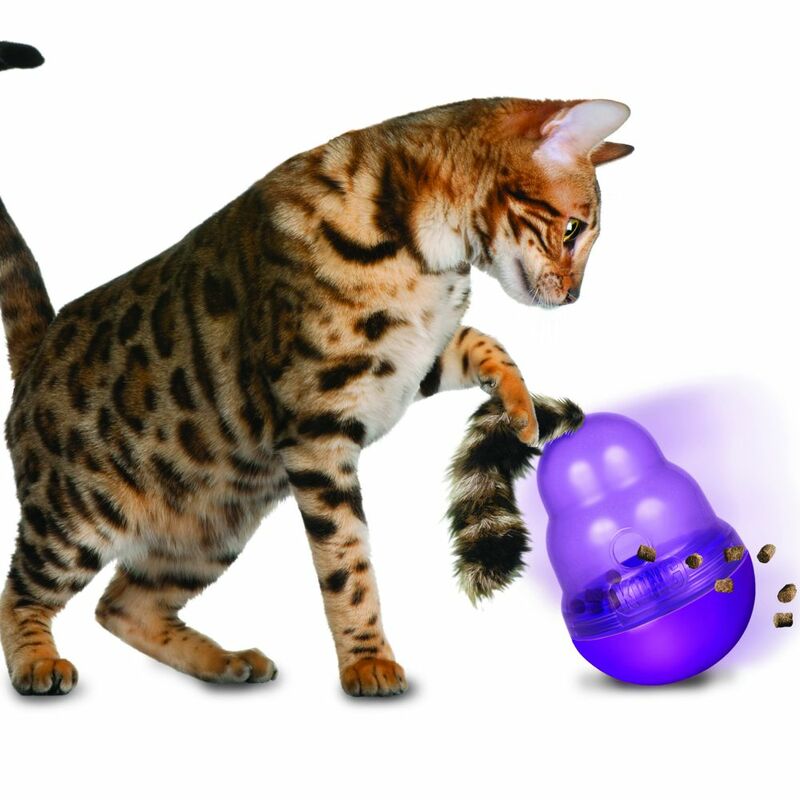 Used as a mealtime feeder, it also slows rapid eating and helps fight boredom and obesity by encouraging cats to work for their food.